Sold by Mittal Books (4.7 out of 5 | 7,096 ratings) and Fulfilled by Amazon. Gift-wrap available. Joining Indian Defence Forces as a young officer is everyone’s dream. It deserves a lot to become a defence personnel and serve the nation with pride. National Defence Academy is one of the supreme gateway to Indian Defence Forces. 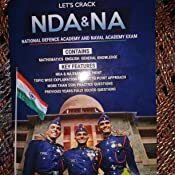 It is one the iconic institution which provides the world’s best military education.With the sincere effort of our experts, here we are to help you to achieve success in NDA exam and accomplish your life goal.The exam requires you to be a 12th class pass candidate of a 10+2 pattern of School education. Understanding the needs of the student our experts have compiled this comprehensive book to give you a holistic approach specifically designed to help crack the NDA exam. Our experts are well experienced with preparation of material for various national level competitive exams. 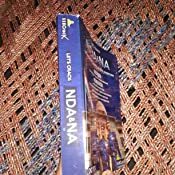 Our aim through publishing of this book is to present you a single book – a one-stop solution to help you with revision and to crack the exam.NDA exam has a vast syllabus, which has been covered with a point to point approach. This book is written in simple language and focuses on laying ground for fundamentals, providing shortcuts and easy to remember methods. 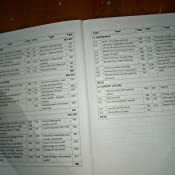 The material is divided topic wise and each topic is followed by a set of practice questions to assess what you have learnt. Answer keys to all practice questions are given. We have covered all topics including Elementary Mathematics, English, General Knowledge, Biology, Physics and extra information relevant from exam point of view. We hope that you will find this book most helpful and satisfying in your pursuit of success and be victorious. 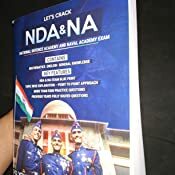 5.0 out of 5 starsBest book for NDA preparation available in the Market. Must buy. I'm totally amazed by the content of this book. This book is a combo pack. You will get regular exercise u will get previous year questions. You will get the detailed information about every concept. After studying from this book I'm quite confident that I'll crack this exam. A must buy book for All tha NDA aspirants. 3.0 out of 5 starsPathfinder better ! 5.0 out of 5 starsBetter than other options. 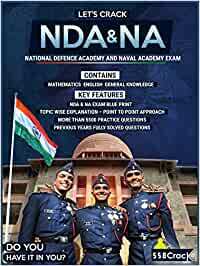 Book is excellent for preparation of NDA & NA exams. A complete guideline is given for preparation. One should must consult this book once especially the guys who face problems in english section.